How Secure Is Internet of Things (IoT) And M2M Technology? 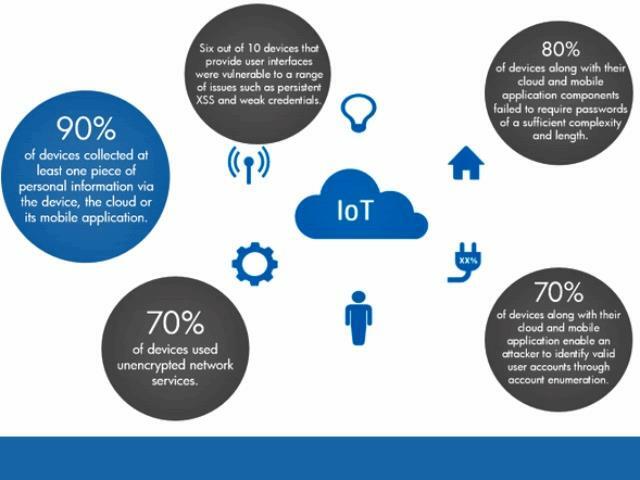 How Secure Is Internet of Things (IoT) And M2M Technology? The world around us is not new to the topic of the Internet of Things technology and the various issues as well as advantages associated with it. With the thought of such an innovative as well as interactive technology coming into existence, it is needless to say that the entire human race will be benefiting to a very large extent. So far, the most common piece of information we have regarding the Internet of Things technology as well as its lifeline technology of Machine to Machine communication is that the combination of these two will make it possible for all devices, objects, entities as well as human beings to become the part of a common network. This in turn will shrink the entire world into a small network of interconnected devices and will also facilitate direct communication between all its connected components. 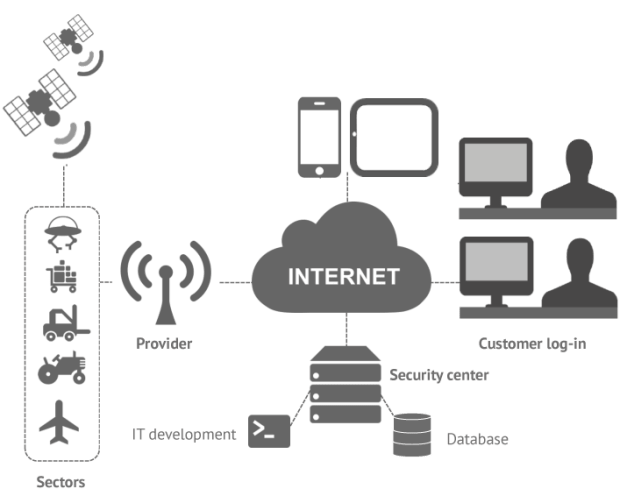 Another advantage of the Internet of Things technology is that it will enable the communication and exchange of information between two or more devices interconnected components without the need of any third- party intervention. 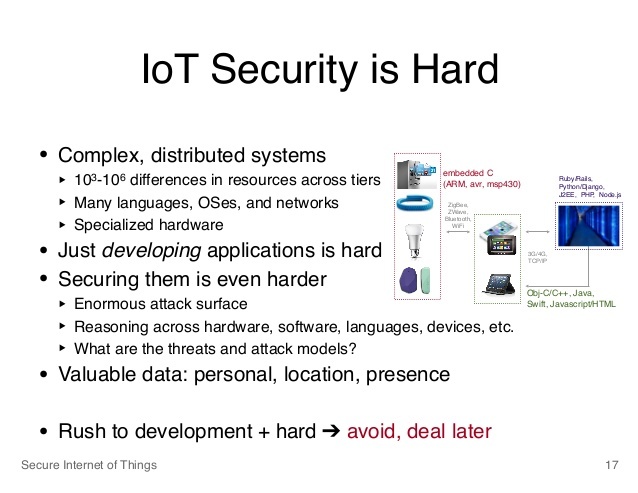 Meanwhile the real question is that if the Internet of Things (IoT) as well as the Machine to Machine (M2M) technologies is secure? We have so far only concentrated at the brighter side of the IoT technology and how it will benefit mankind. However, we know that there are two sides of a coin and similarly, there has to be some downsides for these next- generation technologies as well. Can the Internet of Things technology turn into an intrusion into our personal lives and data? Will this high- end technology lead to the disclosure of all our confidential data in the long run? Let us take a look at some of the prospective challenges that may creep up with the advent of the Internet of Things and M2M technology. According to reports from some of the top- notch companies as well as research labs that are contributing day as well as night towards the successful advent of the IoT technology, it is said that there exists a rapidly closing security window that will focus towards maximizing security in Internet of Things technology as well as minimizing the risks involved. The report also proclaims very clearly that if this small and rapidly closing window is not tackled in time as well as before the implementation of the IoT as well as M2M technology, not only will this generation; rather the consequences of this issue will be bestowed upon many more generations to come. One of the most common concerns related to the implementation of the Internet of Things technology comes from the healthcare industry. In hospitals and laboratories, there are large number of high- end functioning equipments and life- saving machinery. While some of these machines are high- end and perform several different operations; others are not so advanced and just act as a complementary support but at the same time it is necessary for the proper functioning of the larger machines as well. This mismatch between the regulatory functioning of these two different generations of devices will be an issue which we will have to incorporate with once these devices are coupled together to form the part of a common network. A similar concern regarding security will also be faced in our homes once we have all the devices and appliances interconnected with each other under the large umbrella of the Internet of Things as well as M2M communication technology. Analysts have come to the conclusion that it will be difficult to handle as well as manage when all the devices in our homes will be connected over a common cloud network. The prospective issue that will be faced in this case is also regarding the level of working and compatibility of all the devices. The same legacy revolving around security is also a concern for our infrastructure as well. This is due to the reason that we are unable to put new- age security into the old computer systems. As a result of this abnormality in infrastructure, the systems will try to communication with each other over this common cloud network and will flag abnormal behaviour due to the mismatch in their generations and operating systems. When we talk about the Internet of Things and M2M technology, security is a major part of the conversation because all the researchers as well as common man who know about the breakthrough nature of IoT are educated enough to understand the implications involved in inculcating the security prospect into the M2M protocols which will become an inseparable part of the Internet of Things technology. In all the Internet of Things enabled devices their is a huge possibility of data getting hacked, as all the data is saved in a common cloud network where it can be accessed by any unfair means. Surely we are looking forward to a lesser complicated world where everything will be interconnected over a common cloud network but the involving security concerns are also not possible for us to neglect. You can also check upcoming Internet of Things Security Event details from here.